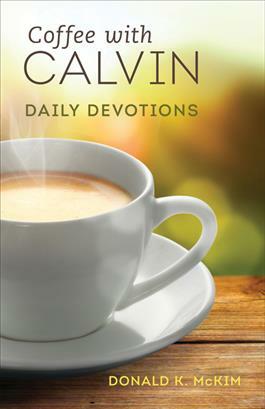 These eighty-four practical devotions offer an accessible look into the enduring theology of John Calvin. Each day's devotion presents a short excerpt from Calvin's Institutes of the Christian Religion, followed by a topical reflection by Donald K. McKim. The book is organized into eight sections and arranged for either daily or weekly devotional study. The sections are organized thematically, allowing readers the flexibility to delve into the topics they are most interested in. Readers will come away seeing Calvin as an eminently practical theologian with timeless insights into the Christian life. I had just started in a youth pastorate in Montana. My senior pastor and mentor was talking about taking one other young guy, myself, and he to breakfast once a month for mentoring and study. He chose to have us read Calvin's Institutes. The Battle's translation. A big, two-volume behemoth. The tome cost me over $50 dollars. "I know it is expensive," he said, "but you have to do it." So I did.